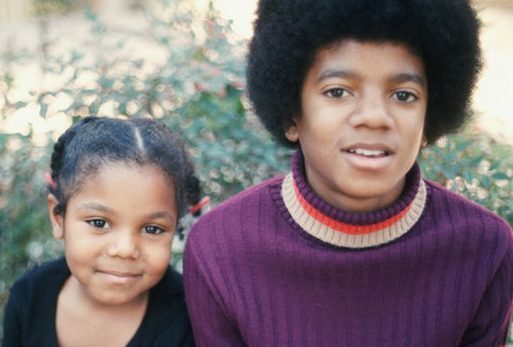 January 03 : Janet has lunch with Preston, her make-up artist in L.A.
January 06 : Nathaniel Brown, Rebbie’s husband since 1968, dies from cancer. Janet supports Rebbie, Austin, Stacee & Yashi in this difficult time. January 11 : The Jackson family attends Nathaniel Brown’s funerals in Los Angeles including Paris, LaToya & JohVonnie. January 19 : Janet is spotted at LAX leaving L.A.
January 20 : Janet is spotted at the Pear Gala at the Mandarin Oriental in Washington DC with brother Randy (an inaugural party for President Obama). Late January : Janet stays in Paris and spends time with Wissam and her brother Jermaine who’s in town. February 02 : Janet flies from Paris to New York. February 06 : Janet attends the amfAR New York Gala to kick off Fall 2013 Fashion Week at Cipriani Wall Street in NYC. February 9 : LaToya attends the Hennessy reception toasting achievements in music, hosted by LL Cool J And Mark Burnett at The Bazaar at the SLS Hotel Beverly Hills in Los Angeles, California. February 13 : Prince celebrates his 16th birthday with family and friends. LaToya attends the Topshop Topman LA flagship store opening party at Cecconi’s Restaurant in Los Angeles, California. February 21 : Bigi celebrates his 11th birthday with family and friends. Janet & Wissam attend the Sergio Rossi presentation cocktail during Milan Fashion Week. February 22 : : Janet & Wissam attend the Versace fashion show during Milan Fashion Week and later Janet spends time with Donatella Versace & Lana Del Rey. February 23 : Janet & Wissam attend the Roberto Cavalli fashion show as part of Milan Fashion Week. February 25 : Janet & Wissam attend the Giorgio Armani fashion show as part of Milan Fashion Week. March 7 : Janet is spotted at Emporio Armani Caffe Doha, Qatar (owned bt Al Mana Luxury). March 8 : LaToya attends the Los Angeles Premiere of ‘Mike Tyson – Undisputed Truth’ at the Pantages Theatre in Hollywood, California. March 17 : Janet is spotted in Doha. March 18 : LaToya is a guest on the Jimmy Fallon Show in NYC. March 19 : LaToya is a guest on The Wendy Williams Show. March 30 : The family goes to Lego Land (Omer, Prince, Jaafar, Genevieve, Paris, Jermajesty, TJ, Jojo, Breana, Taryll, Adren, Bryce, Thaisa, Thayana, Blanket, Donte, Royal, Frances & Dee Dee). April 2013 : Latoya visits Hayvenhurst during an episode of her Own reality show « Life With LaToya ». April 03 : Paris celebrates her 15th birthday with family and friends. April 10 : LaToya is a guest on ‘Good Morning America airing on the ABC Television Network. April 12 : LaToya is a guest on KATIE on ABC. April 18 : Katherine attends a family meeting at Janet’s house in Beverly Hills to discuss the upcoming AEG trial with Janet, Jermaine, Randy & Rebbie among others. April 20 : LaToya attends the screening of ‘Dancing in Jaffa’ during the 2013 Tribeca Film Festival at AMC Loews Village 7 in New York City. April 23 : LaToya is a guest on The Wendy Williams Show. May 1 : LaToya attends the Finale, Reunion & Coronation Taping Of Logo TV’s ‘RuPaul’s Drag Race’ Season 5 in North Hollywood, California. May 16 : Janet celebrates her 47th birthday with Wissam in Paris. May 18 : In a new interview to Billboard about the 20th anniversary of the “Janet” album Janet reveals : “I am working on a new project now. We are creating the concept and initial thoughts on the music. I am excited about the direction we are taking. I don’t want to rush it”. May 19 : LaToya attends ‘All Star Celebrity Apprentice’ Finale at Cipriani 42nd Street in New York City. May 24 : Janet flies back to L.A.
May 28 : Janet along with Katherine & Rebbie attends court today in L.A for Michael’s wrongful death trial against AEG. June 03 : Janet has signed up as the face of a new campaign for the United Nations Children’s Fund (UNICEF) to help stamp out starvation in Africa. June 05 : From TMZ : Paris was rushed to the hospital early Wednesday morning, and sources tell us it was a suicide attempt. A source connected to the family tells TMZ … Paris “threw a fit” last night after she was told she couldn’t go to a Marilyn Manson concert. We’re told she ran into her room screaming and slammed the door. Katherine, TJ, LaToya, Grace & Debbie visit Paris. June 06 : Janet & Wissam host a birthday dinner for producer Tommy Parker with Ian Cross in Istanbul, Turkey where they are currently working on Janet’s new album. June 16 : The whole Jackson family attends Taj’s wedding at Hayvenhurst (except Janet, Marlon, Randy & Paris). 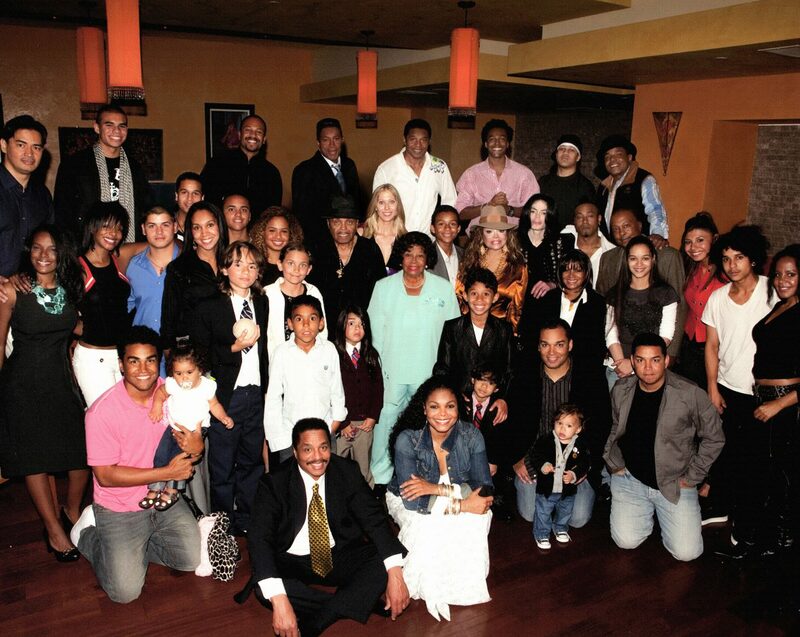 Jermaine Jr. Aja, Siggy, Jared, Omer, Genevieve, Stevanna, Randy Jr., Rebbie, TJ, Blanket, La Toya, Royal, Joseph, London Blue, Dee Dee, Katherine, Bryce, Taj, Thayana, Paloma, Tito, Breana, Adren, Taryll, Thaisa, Jansen, Thaina, Frances, Jo Jo, Donte, Stacy. June 29 : Katherine, Donte, Jermajesty, Randy Jr, Omer, Prince & his girlfiend Remi Alfalah attend the world premiere of ‘Michael Jackson ONE by Cirque du Soleil’ at THEhotel at Mandalay Bay in Las Vegas, Nevada. June 30 : Rebbie, Yashi, Stacee & London Blue attend Austin’s concert at BET Experience. Rebbie Austin attend the 2013 BET Awards at Nokia Theatre L.A. Live in Los Angeles. July 06 : Janet & Wissam are spotted in Paris, France. July 14 : Janet & Wissam fly from Paris to Dubai. August 10 : Janet & Wissam are spotted at the Four Seasons Restaurant in Doha. August 29 : Janet is spotted shopping for abayas at Village Mall along the Jumeirah Beach Road in Dubai. September : Bangladesh submits tracks to Janet and his producing partner/friends Reece Beats tweets/Instagrams about it. November 27 : Prince & Blanket spend pre-Thanksgiving dinner at Calabasas with most of the cousins. Paris stays at the Diamond Ranch Academy in Utah. December 12 : Jermaine celebrates his birthday in L.A with Halima, Joe, Jermaine Jr, Autumn, Jeremy, Jaimy, Jourdynn, Jaafar & Jermajesty. December 18 : Janet is spotted the Zuma restaurant in Dubai. December 24/25 : Prince, Blanket, Omer, Donte, Randy Jr, Jaafar, Jermajesty, TJ, Royal, Dee Dee & Jojo spend Christmas in Hawaii. Paris stays at the Diamond Ranch Academy in Utah. December 31 : Birth of baby twins Jaylen & River Jackson, sons of Jackie & his wife Emily Jackson.